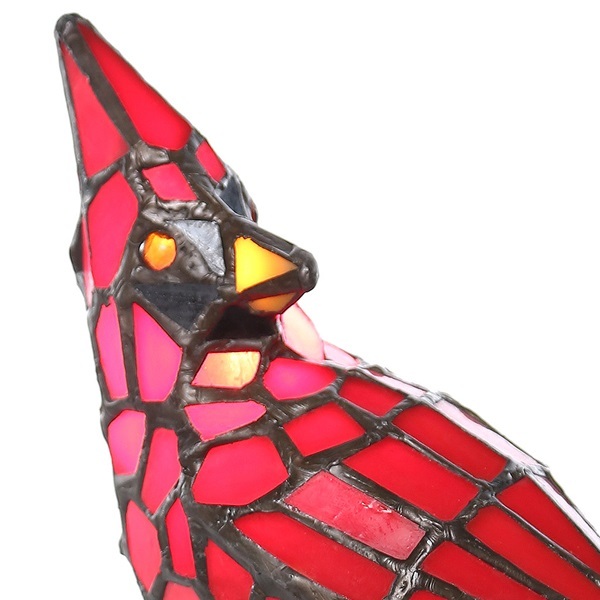 Tweet Tweet. 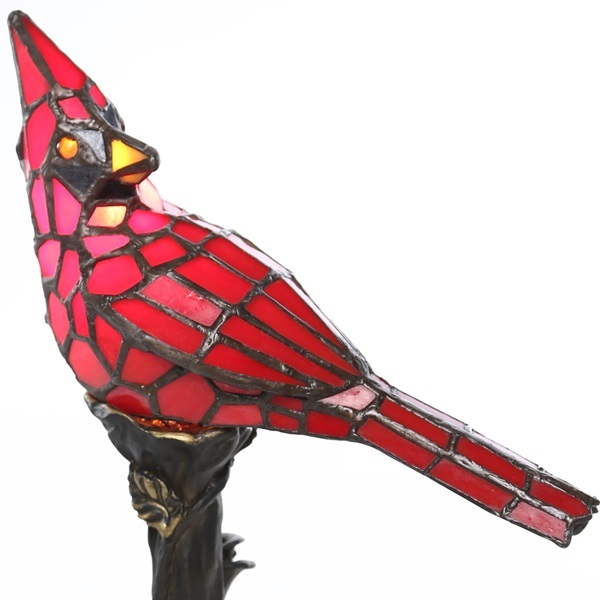 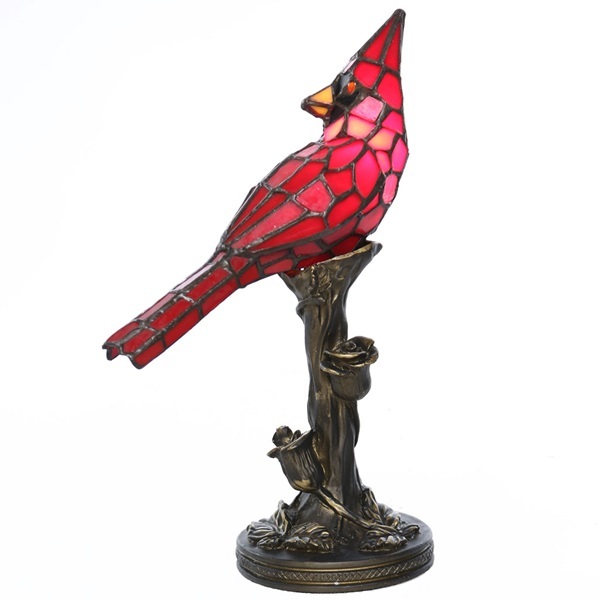 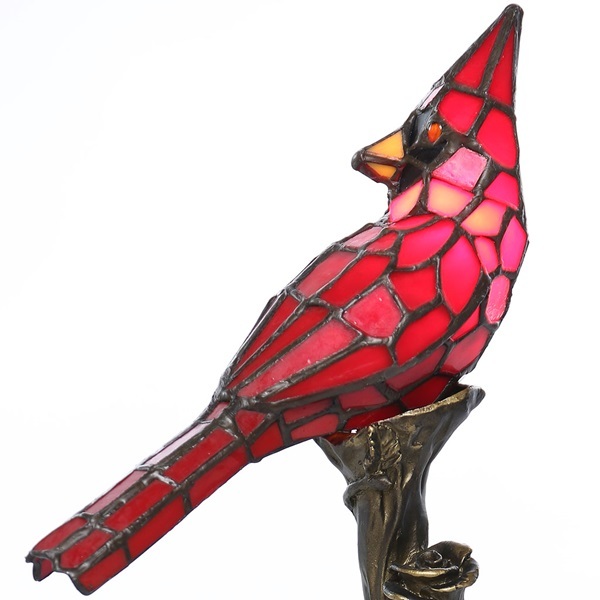 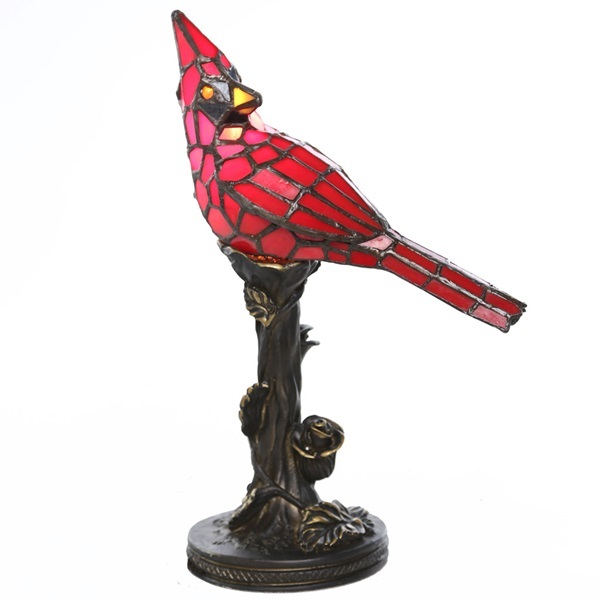 This delightful accent lamp is crafted with 95 pieces of antique-style stained glass in deep rich red with two orange cabochons for eyes. 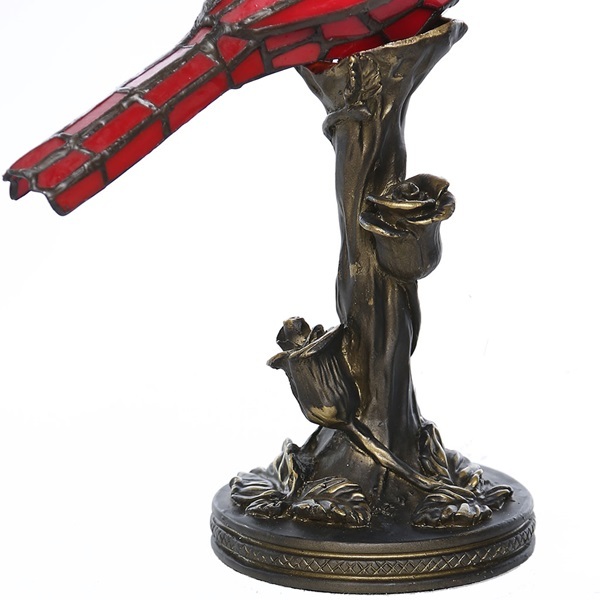 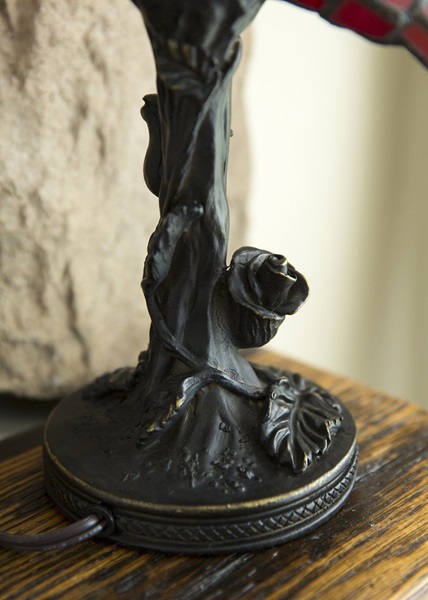 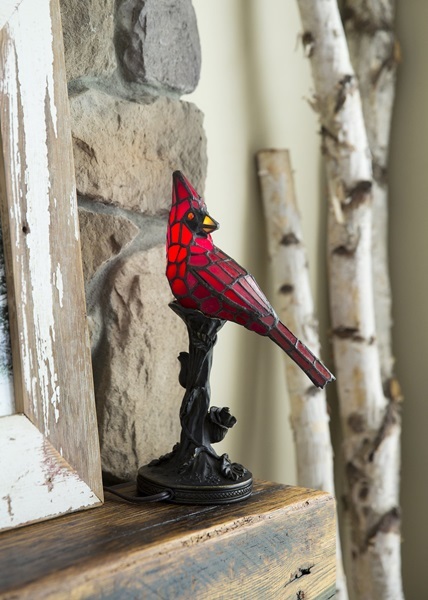 The cardinal is perched on a bronze-colored branch laden with rose blossoms. 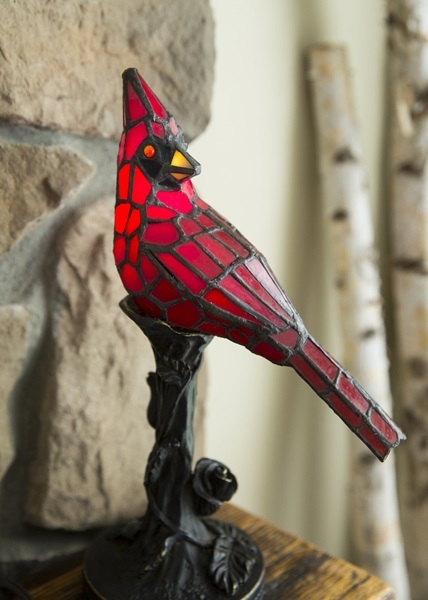 A great gift for a bird watcher, science teacher or Professor. 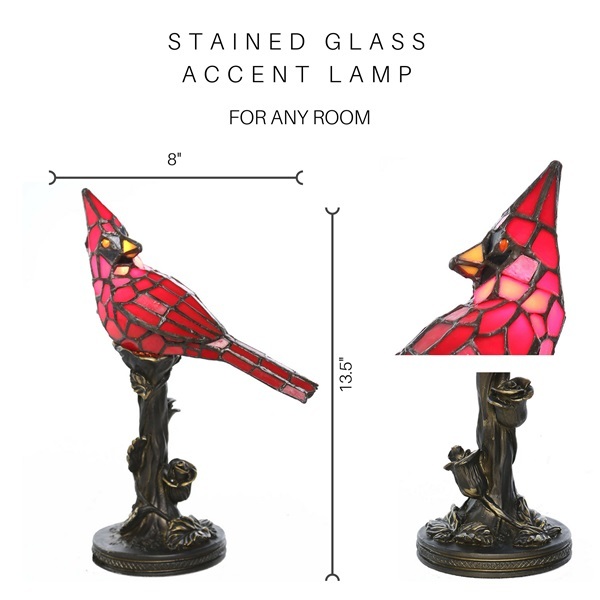 Accent lamps also work wonderfully as nightlights.